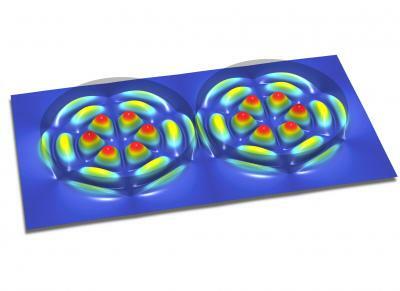 Inspired by anomalies that arise in certain mathematical equations, researchers have demonstrated a laser system that paradoxically turns off when more power is added rather than becoming continuously brighter. The finding by a team of researchers at Vienna University of Technology and Princeton University, could lead to new ways to manipulate the interaction of electronics and light, an important tool in modern communications networks and high-speed information processing. "This is not the normal interference that we know," said Hakan Türeci, assistant professor of electrical engineering at Princeton, referring to the common phenomenon of light waves or sound waves from two sources cancelling each other. Instead, he said, the cancellation arises from the careful distribution of energy loss within an overall system that is being amplified. "Loss is something you normally are trying to avoid," Türeci said. "In this case, we take advantage of it and it gives us a different dimension we can use -- a new tool -- in controlling optical systems." The research grows out of Türeci's longstanding work on mathematical models that describe the behavior of lasers. In 2008, he established a mathematical framework for understanding the unique properties and complex interactions that are possible in extremely small lasers -- devices with features measured in micrometers or nanometers. Different from conventional desk-top lasers, these devices fit on a computer chip. The researchers' ideas for taking advantage of loss derive from their study of mathematical constructs called "non-Hermitian" matrices in which a normally symmetric table of values becomes asymmetric. Türeci said the work is related to certain ideas of quantum physics in which the fundamental symmetries of time and space in nature can break down even though the equations used to describe the system continue to maintain perfect symmetry. Over the past several years, Türeci and his collaborators at Vienna worked to show how the mathematical anomalies at the heart of this work, called "exceptional points," could be manifested in an actual system. In 2012, the team published a paper in the journal Physical Review Letters demonstrating computer simulations of a laser system that shuts off as energy is being added. In the current Nature Communications paper, the researchers created an experimental realization of their theory using a light source known as a quantum cascade laser. 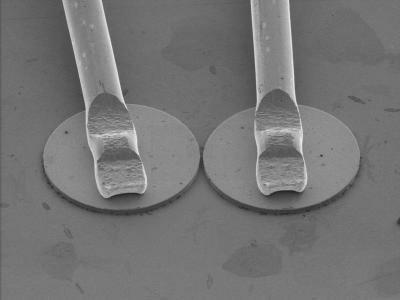 The researchers report in the article that results could be of particular value in creating "lab-on-a-chip" devices -- instruments that pack tiny optical devices onto a single computer chip. Understanding how multiple optical devices interact could provide ways to manipulate their performance electronically in previously unforeseen ways. Taking advantage of the way loss and gain are distributed within tightly coupled laser systems could lead to new types of highly accurate sensors, the researchers said. "Our approach provides a whole new set of levers to create unforeseen and useful behaviors," Türeci said.